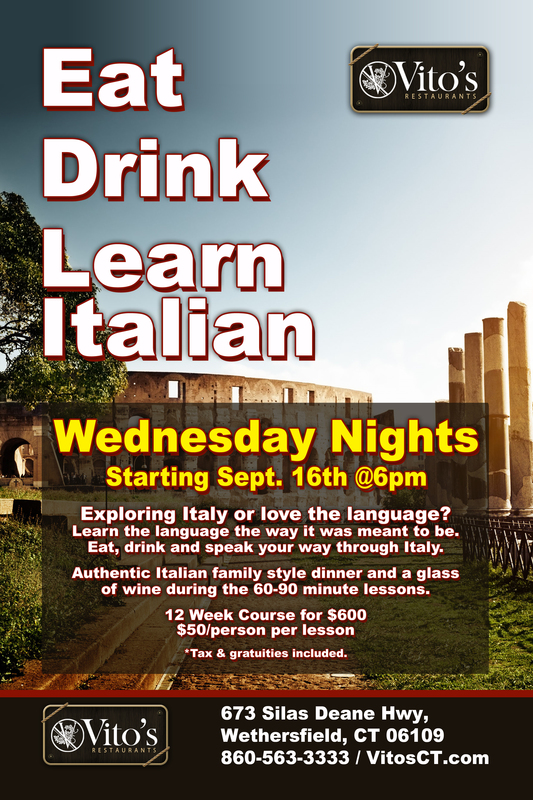 Every Wednesday night for 12 Weeks starting September 16th, learn the language the way it was meant to be spoken while you eat, drink and speak your way through Italy! Join us for an authentic Italian family style dinner and a glass of wine during the 60-90 minute lessons. The 12 week course is $600 or $50 per person per lesson which includes tax and gratuity.